Want to know more? Download our latest financial reports. 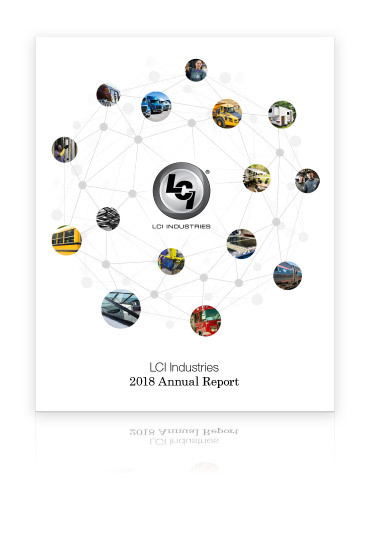 LCI Industries has grown to become an international, publicly-traded organization with over 65 facilities around the world and more than 10,000 employees. Want to learn more? Check out our Company history to see where we’ve come from and read our news to see where we’re headed. LCI Industries is committed to growth through strategic initiatives, product innovations, market share and acquisitions. Leading the way through innovation, passion and expertise. We’ve seen six decades of fast-paced strategic business development and six decades of success because we put customers first and care for our employees like family. LCI Industries is committed to acting ethically and responsibly and to providing full and accurate disclosure to the Company’s stockholders, employees and other stakeholders. You may automatically receive LCI Industries financial information by e-mail. To choose your options for e-mail notification, please click the link below and use the form.